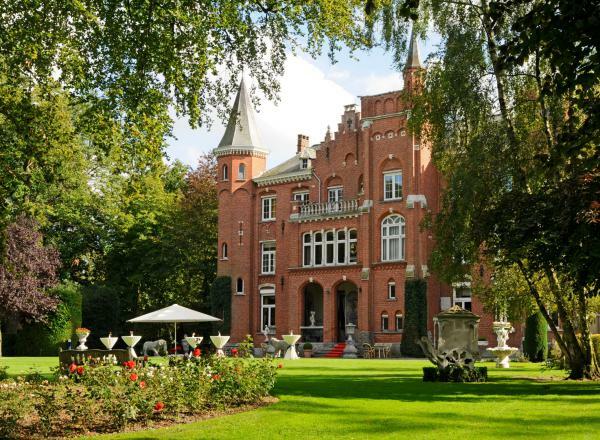 Quietly situated on the outskirts of Bruges, surrounded by a beautiful park. With us you can enjoy a pleasant stay at the hotel, a delicious dinner in the restaurant or for a successful party in the ballroom. We have 20 clean and comfortable rooms with all comfort. The family Derycke and their team prepare a high quality cuisine. All rooms have bathroom with toilet, television, telephone and all necessary comfort. In the morning guests are treated to a sumptuous breakfast. Large private car park.